More than 20 GVSU students were inducted into the honor society, more than doubling the number of inductees from the 2016-17 academic year. Ott also said she is hopeful that the increase in number is a sign of a new level of student involvement in the honor society. The speakers at the induction said the ceremony was a way of celebrating the achievements of the inducted students, who must maintain a 3.0 grade point average in their women, gender and sexuality studies courses to be accepted. “This is a women and gender studies honor society, and we are here to really recognize and celebrate students and their success,” said Cael Keegan, assistant professor of liberal studies and women, gender and sexuality studies, and faculty adviser for Triota. 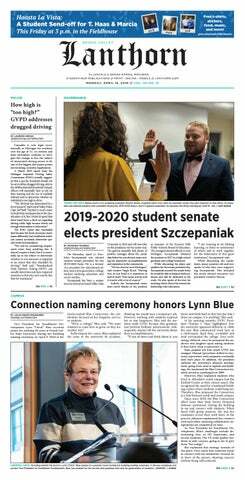 Ott, who helped induct members, said the organization works to highlight and celebrate different gendered experiences, as well as preserve feminist values that are important within the field of women, gender and sexuality studies. Using a real-life example to detail the impact of the honor society, keynote speaker Nathan Bentley, GVSU alumnus and former member of the honor society’s executive board, spoke about his involvement with the Grand Rapids drag scene. For more information on Triota, visit www.gvsu.edu/wgs.